As the United Kingdom was in the final throes of the EU referendum debate, polygamy was being discussed in the German Bundestag. On 15 June, Heiko Maas, the German Minister of Justice, stated that Germany will not recognise polygamy or marriages involving minors. The law in Germany, as in many other countries including the UK is clear: no-one is allowed to be legally married to more than one person at a time. But in practice polygamous relationships are often quietly tolerated. This example is the latest in a now regular pattern of polygamous marriages being raised in the context of Muslims in Europe and immigration concerns, welfare benefits, and the incompatibility of Islamic marriage practices with Western values. Germany is not alone in raising concerns about polygamous families. Netherlands, Norway, Belgium, France and the UK are all grappling with the issue of polygamy in countries where marriage laws define marriage as between two people. In December 2008, Sahar Daftary, a 23 year old model, plunged to her death from an apartment block in Salford, Greater Manchester after discovering that her husband, Rashid Jamil, had another wife and two children. Sahar, a Sunni Muslim, had a few months prior to her death undergone a religious marriage ceremony with Rashid Jamil - unaware that he was already married. Many newspaper reports at the time predicted that Sahar’s death would shine a light on polygamous marriages in the UK. However, unlike the cases of forced marriages and ‘honour’ killings, polygamy failed to capture the same degree of media, public or political attention even within minority women’s organisations. A few months later, in 2009, Baroness Warsi accused policymakers and politicians of failing to discuss or respond to concerns about polygamy because of ‘cultural sensitivity’. In 2012, Chris Fuller MP and Baroness Flather linked polygamous practices to benefit fraud, arguing that additional wives were regarded as single mothers by the welfare system and thereby entitled to payments under it. 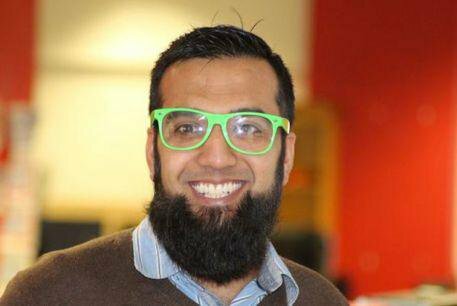 In May this year, Azad Chaiwala, who describes himself as a serial tech entrepreneur, was doing the rounds of British media outlets promoting his websites polygamy.com and secondwife.com to help men find additional wives. On his website, Chaiwala says he ‘wants to change the way we perceive polygamy and believes it’s the last remaining social taboo but one without which, general society is breaking apart’. He claims 40,000 people have signed up to his website from the United Kingdom but also from the US, Canada, Europe and the Gulf States; and that 70% of those who have registered are women. Despite these instances, there has been very little real discussion about polygamy, its practice and its consequences. Policy makers in the UK and elsewhere will have to contend with the flow of people across borders that includes legally married polygamous families, some of who will have entered such marriages as a means of protection or as the result of being sold as co-wives. Policy makers will also have to address home grown, extra-legal polygamous marriages. I have been researching polygamous practices in the UK for the past 6 years, in the course of which, I have interviewed 50 women and 20 men who are living, or have lived, in polygamous families. It is clear to me that responding to polygamy will require much more than a ban on its practice. Polygamy raises many questions and challenges: integration of migrant communities, ensuring adherence to State laws regarding marriage, and balancing freedom of religion with gender equality and the best interests of the child. It will demand a review of current bigamy laws and consideration of the legal loophole which allows Muslim men to marry multiple wives by entering into religious, non-registered marriages. In April 2010, the case of Lies Hebbadj, a French Algerian man hit the headlines. In the course of an investigation into a driving offence committed by his wife it was revealed that he had four wives and up to fifteen children. The French authorities began investigating Hebbadj’s relationship with the four women and their individual claims for welfare benefits. It appears that Hebbadj attempted to circumvent French bigamy laws by entering into religious marriages. However, he denied the women were his wives saying they were his mistresses. Hebbadj has effectively denied his wives and children the protections of marriage: within extreme interpretations of Islamic marriage law, to define the women as ‘mistresses’ thereby exposes them to accusations which are punishable by death in Muslim countries. Here we see a reversed self-serving justification in a cynical manipulation of state laws and French ‘custom’ for his own ends. Addressing polygamous marriages in UK and European Muslim populations will raise difficult, complex and uneasy questions for supporters and opponents of the practice. Any attempt to develop an effective policy response requires an analysis of how such marriages affect the lives of women and children. Policymakers will need to develop a response that protects the rights of those already in polygamous families without condemning future generations to a similar fate. Polygamous marriages can, and often are, a site for domestic and/or sexual violence, child and early marriage, forced marriage, honour based violence, sexual exploitation and trafficking. ... any act of gender-based violence that results in, or is likely to result in, physical, sexual or psychological harm or suffering to women, including threats of such acts, coercion or arbitrary deprivation of liberty, whether occurring in public or private life. It is important to recall this definition of violence against women in relation to polygamy: a discriminatory practice which has very real consequences for women and children. The author Geraldine Brooks describes it as the spectre that haunts every Muslim woman. The threat, possibility and fear that their present or future husband may take another wife is a reality for many Muslim women, and undoubtedly influences their perception and management of their relationships. The women (and some of the men) I interviewed spoke about the impact of polygamy on their lives, including their status in the community and in the home, on their economic circumstances, and on their health. The financial impact of polygamy leaves many women facing increasing financial hardships as their husbands fail to maintain multiple wives and children. Left without any support from their husbands, women are forced to claim state benefits or take on additional work, as they assume sole responsibility for themselves and their children. The emotional and psychological impact of polygamy is significant with some women stating they felt they had somehow failed as a wife, others were burdened by the shame of being a first wife as they knew they were being pitied at one level and judged at another. The hierarchy of wives and ensuing competition for the attention of their husbands places a huge strain on women. Polygamy drives down the age of women and girls, it also enables older men of wealth and status to gain sexual access to young women for marriage. I have gathered evidence of incidents of physical, psychological and sexual abuse directly linked to their polygamous marriages – either due to resisting it or the dynamics within these unions. The sexual arrangements within polygamous marriages arouses a great deal of prurient interest, but rarely explored is the enforced celibacy for some women or the burden of always being sexually available according to a husband’s demands. I have stated above that any examination of polygamous practices must take into account harms and impact on women and children. 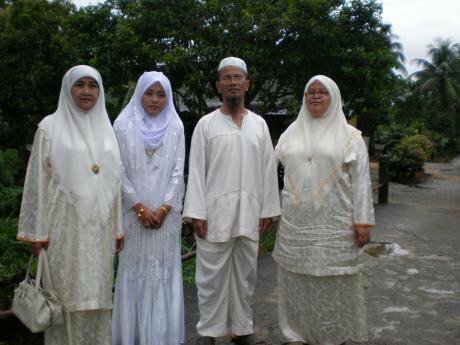 I think it is also important to look at polygamy within the framework of other marriage practices. Various forms of marriage are permitted in Islamic doctrine ranging from a model of monogamous marriage that echoes Christian ideals, to a number of forms of temporary marriage, which are contested by academics and theologians. Although these temporary marriages are associated with Shia Islam there is growing evidence of their adoption by other Islamic sects in order to avoid committing zina. These temporary marriages lend themselves to great scrutiny - not least of which being their impact upon the status of an existing marriage. If disclosed to an existing wife does this become a polygamous marriage? If the ‘wife’ is not aware of the temporary marriage is her marriage still monogamous? Many of the women I interviewed did not know that their husband had taken another wife. The status and form of the marriage must be understood in order to help define the extent of such practices and to develop solutions. Some of the women I interviewed shared a common spouse (the husband) but lived in separate households, for others the marital arrangements were less clear with the husband not living with any wives, and in some cases there being no public acknowledgement of the relationship. How this arrangement fits within current understandings of the family and what constitutes marriage is not just an academic, but also a major policy question. The US and Canada have been dealing with many of these difficult questions for some time in relation to Fundamentalist Mormon communities, and more recently in relation to Muslim communities. In 2005, the Status of Women Canada and the Canadian Department of Justice commissioned research to explore the legal and social ramifications of polygamy, including its impact on women and children and gender inequality. The report concluded that polygamy is heterogeneous and therefore it is impossible to draw an unqualified conclusion as to whether it harms women. In 2011, Chief Justice Baumann, ruled in the Polygamy Reference case ruled that Canada’s criminal prohibition of polygamy is constitutionally justified despite violating freedom of religion and that this was a reasonable limitation in order to prevent harm to women and children. Chief Justice Bauman presided over 42 days of hearings listening to evidence and submissions about the history and nature of marriage, both monogamous and polygamous, as well as jurisprudence from a number of countries and international law. While the expert witnesses and community members were not unanimous, the weight of evidence clearly supported the view that polygamy results in physical and psychological harm to women and is inherently unequal. 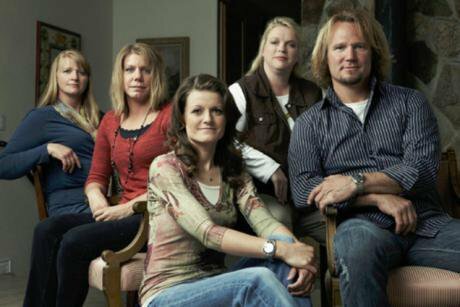 This is the most comprehensive judicial treatment to date of the legal status of polygamy. Protecting women and children currently living in extra-legal polygamous families is dealt with by Sharia courts. Supporters of these courts often cite that women choose religious arbitration, but what other choice do they have when their marriages are not recognised by the State? This group is increasing in numbers as more Muslims enter into religious marriages without a civil marriage. Recourse to the Sharia courts also allows men to avoid the financial penalties of a civil divorce in favour of a much lesser settlement for women under Sharia and avoids any actions under bigamy laws. Dr Elham Manea, a Swiss academic of Yemeni, Muslim heritage has conducted an investigation into 85 Sharia courts in the UK. Dr Manea contextualises the debate surrounding sharia courts in the lived experiences of women and children. She presents evidence of the systematic discrimination experienced by women and children as a result of religious arbitration. She calls for mandatory measures to be implemented requiring a civil marriage be entered into before contracting a Muslim/religious marriage, with clear and harsh sanctions for imams and any individuals who violate it. She also calls for a nationwide campaign to register all religious marriages and that bigamy laws be extended to include religious marriages. These calls for changes in the current approaches to bigamy and polygamy come at a time when the UK government has launched a review of Sharia courts and their practice. I hope the review panel take note of the recommendations made by Dr Manea and hear evidence of the harms and consequences arising from polygamous marriage practices. I would like to sound one final note of caution. Polygamy and the abuses arising from it must be addressed but we cannot allow polygamy to be used as so many other issues have of ‘othering’ communities. We also cannot let it be used as an excuse to deny those seeking refuge from countries where their marriage has legal, valid status to be denied a place of safety or demonised on this basis.